Our article about towing a Jeep Wrangler behind an RV has been very popular. With that in mind, there are probably lots of other questions that RV owners have about towing, as well. So what follows are all the best resources I could find regarding towing with a motorhome. U.S. Dept. of Transportation — tips for measuring the weight of a trailer and understanding manufacturers’ tow vehicle ratings. Towing A Dinghy Behind A Motorhome: The Challenges — facts about “dinghy” towing, which is the act of towing a vehicle with all four of its wheels on the ground. Plus a video that shows what you should NEVER do while towing a vehicle behind your motorhome. RV Towing Guide — everything from surge brake tips to towbar usage tips and other general towing tips. Towing Behind A Motorhome: What You Should Know — tips including a-frames and dollies, braked versus unbraked trailers, and other UK regulations. Driving Safely With RV Towing Brakes — Towing brakes are brakes that are created to assist with the brakes of a towing vehicle to accommodate those brakes that are on a motorhome. RV & Tow Vehicle Weights — towing basics and definitions, how to calculate your tow vehicle and trailer weights, how to weigh your tow vehicle and trailer, plus tips for understanding weight differences. RV Trailering Tips & Hints — tips for matching a tow vehicle to a trailer, info about tow ratings and gross vehicle weight ratings, and tips for loading your trailer. An Introduction To Towing With An RV — information about transport trailers, tow dollies, tow bars, a-frames, car-mounted versus motorhome-mounted, baseplates, and other towing issues. RV Tech Advice: Towing — a multi-page series of dinghy towing tips including: tow dolly, towing 4 wheels down, tow lights & wiring, tail light wiring, braking units, air brakes and more. Annual Towing Guides — tow ratings by vehicle for vehicle model years 1999 to present. 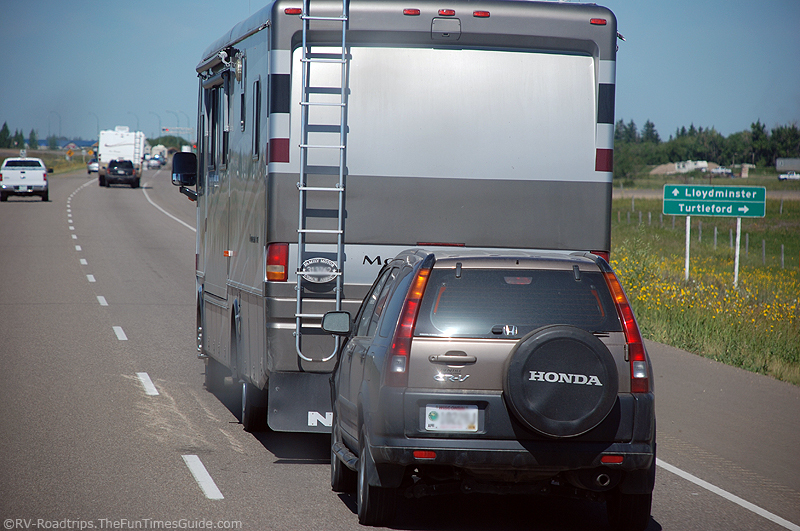 Brake Laws For Motorhomes and Travel Trailers — reasons you must use a braking system when towing behind your RV. 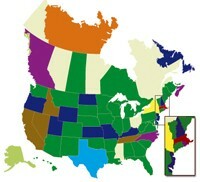 Interactive Map — click on the states that you are traveling through to find the minimum towing weight requirements. If what you are towing exceeds the weight, an auxiliary braking system is required. State Towing Laws — lots of detailed information here, but again it’s hard to tell when this listing was last updated.